Dhaka is one of the world's megacities, yet relentless traffic, environmental deterioration, and poor governance pose critical living challenges for its inhabitants. 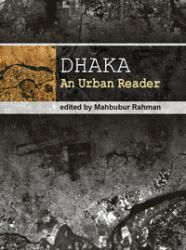 Dhaka’s urban planning has failed to address important economic, environmental, and socio-cultural issues. 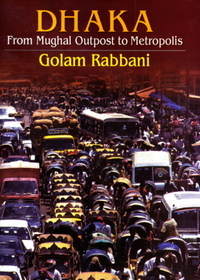 Resource availability has only been considered a technical problem rather than a political issue, resulting in property resource development conflicts and segregation reflected in deplorable living and environmental conditions of the poor and the displays of concentrated wealth and consumerism of the rich. Planning and development decisions must be taken in the context of the builtscape’s cultural dynamics, with an understanding of the spatial interaction of local values and greater participation of residents. However, architects have seldom sought to aesthetically, symbolically, and ideologically interpret these relationships into socially relevant landscapes. 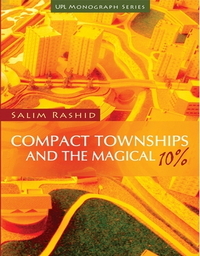 This book, a compilation of ten essays by urban experts, focuses on contemporary issues including the historical evolution of the built environment, cultural spaces, adaptation, urbanism, liveability, and urban design and planning. It also provides several examples of little-known, marginalized areas that will be of interest to more than just the architectural field.